Do you remember the adventurous and muscular man "Popeye"? 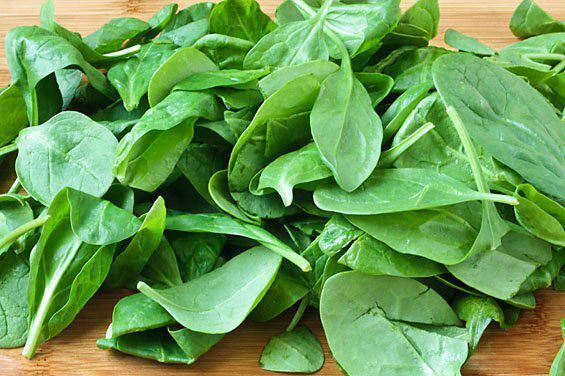 Did you ever wonder what was the secret behind "Spinach"? So what are you waiting for?? Start cooking! I love comments and mi gente, be kind write a positive comment, rate the article, diggit, or pass it along. 1. Preheat oven to 400 degrees F. Heat olive oil in a large skillet over medium heat. Press a tablespoon parsley onto sides of each breast. Season both sides with salt and pepper. Place breasts, skin side down, in skillet; cook until golden, about 8 minutes per side. 2. Remove chicken from skillet, and transfer to a roasting pan. Place roasting pan in oven. Roast until chicken cooks through, 15 to 20 minutes. 3. Meanwhile, return skillet to stove. Add onion; cook, stirring, until just golden, about 2 minutes. Add mushrooms; cook until soft, about 5 minutes. Add wine; scrape skillet's bottom to release cooked-on juices. Cook until wine is almost evaporated, about 5 minutes. Add vinegar; cook 1 minute more. Stir in remaining parsley; season with salt and pepper. Remove from heat; stir in butter. 4. Remove chicken from oven. Place spinach on plates. Slice each breast into sixths; arrange over spinach. Spoon mushroom mixture over chicken, drizzling juices over spinach, and serve. I LOVE SPINACH , WELL HAVE TO TRY THIS. you're welcome Evelyn. Let me know if you like it. Congratulations on your mission and much success to you! What is that on MyPlate vs. Healthy Eating Plate?